A compassionate Seattle police officer creates a unique writing program along with a group of inmates at a maximum-security women's prison, challenging them to answer a simple question with a difficult answer: What if things had been different? If there was something someone could have said or done that would have changed the path that led you here, what would it have been?" This is the question veteran Seattle police detective Kim Bogucki asked a room of inmates at the Washington Corrections Center for Women in Gig Harbor one day in 2008. That question inspired repeat offender Renata Abramson to take action, and from that action grew a revolution, an outreach program that has affected the lives of thousands: The IF Project. Each meeting, Kim or another trained writing instructor assigns an essay prompt, and anybody who wants to share is given the floor. Topics range from writing about the house you grew up in and identifying the moment you got "a little broken" to letters of forgiveness to both yourself and the people you've wronged. 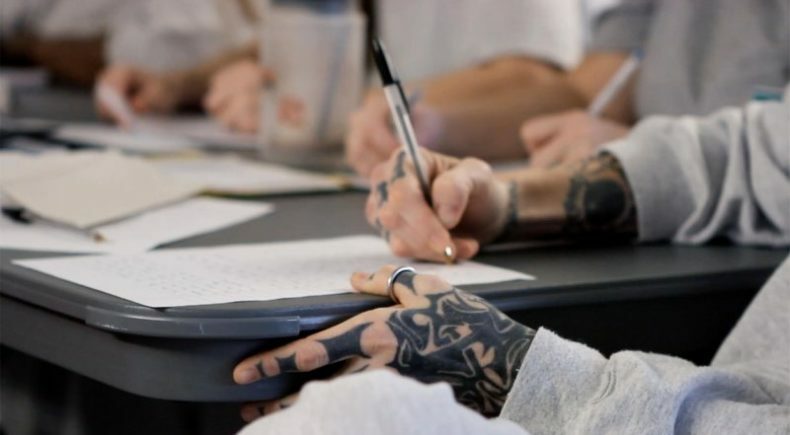 The goal, Kim and Renata hoped, was to inspire the inmates to express themselves and be vulnerable without judgement, often for the first time in their lives, and to assist them to better their lives upon their release. Tracking Kim's complicated relationship with law and order, as well as the lives of four inmates affected by the program-Renata, Tiffany, Angela, and LaKeisha-this documentary is raw, powerful, provocative, and required viewing in a country where nearly seven million people have been behind bars. Kathlyn Horan has been working as an independent director, producer and photographer for over 15 years. Her passion for social justice has led her to use the documentary medium as a way to bring stories to light that elevate awareness, connect communities and ignite discussion. She specializes in working in an embedded journalistic capacity with her subjects in order to allow the viewer an intimate journey into often unseen worlds. Her subjects range from some of the nations leading politicians, activists and artists such as Hillary Clinton, Gloria Steinem, Sheryl Crow, and Bill Maher in "A Voice for Choice" to Zen Buddhist monks in different stages of their practice in "What is Zen?" Her most recently completed film, One Lost Day follows Grammy winning duo Indigo Girls as they head to Nashville to record with a young and untested music producer, Jordan Hamlin. Filmed over the course of a two week recording session, we are allowed an extraordinarily intimate look into how they work together, their history and what their future holds. The film had it's premiere at the Country Music Hall of Fame in Nashville.